Check out our handy guide to Fire-type Pokémon in the OverUsed tier. The competitive Pokémon scene has developed quickly over the last three years, and has shaped the ORAS OU metagame to what it is today. This article will be the start of a series of articles where we’ll be taking a look at how the different types of Pokémon work in the OU metagame. To start off, let’s take a look at the different Fire-type Pokémon! As you know, Fire Pokémon are offensively strong against Bug, Grass, Ice, and Steel Types, but are defensively weak against Ground, Rock, and Water Types. 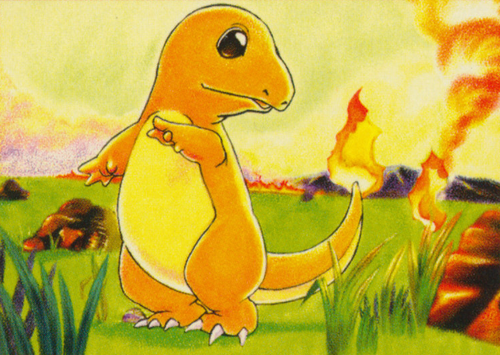 Fire Pokémon also can’t be Burned by any move or ability. In competitive, Fire-type Pokémon generally focus on being offensive. You can use them to have early- to mid-game pressure, as they excel at wall-breaking and punching holes in your opponents team. Alternatively, you could simply save them for a late-game clean up once you’ve taken care of your opponent’s main Pokémon threats. On the other hand, Fire-type Pokémon are not exactly the most defensive of Pokémon. You’ll most likely have trouble switching them in due to their weaknesses that are common in OU. In addition, because Fire Pokémon are weak to the Rock-type, they will receive 25% of their max health as damage (as opposed to the normal 12.5%) when they’re switched while Stealth Rocks are up on their owner’s side of the field. To accommodate for their Stealth Rock weakness, remember to have proper support for your Fire-type Pokémon. Pokémon that know Defog and Rapid Spin like Latias or Excadrill are good teammates to have with them, because they remove Stealth Rock, making it easier for Fire-type Pokémon to be switched in. Pokémon with Volt Switch or U-Turn, like Rotom-W or Landorus-T, are also good partners to help maintain momentum, and to help send in Fire Pokémon safely. A popular strategy with Fire Pokémon is to also have a Water- and a Grass-type Pokémon in your party, creating a core called the Fire-Water-Grass core (or FWG for short). The FWG core focuses on having a party that covers each member’s own weaknesses defensively and offensively. For example, Suicune, Celebi and Heatran are a strong trio. Suicune can threaten Ground-type Pokémon, which are problematic for the Fire-typed Heatran, while a Heatran in the same party deals with the Grass-type Pokémon that Suicune, a Water Pokémon, has difficulty against. Celebi can cover Heatran’s weakness of water and in return, Heatran can absorb Fire-type moves for Celebi. All that being said, let’s take a look at some of the popular Fire-type Pokémon in the OU metagame. 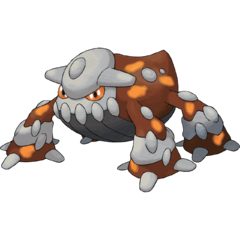 You can have Heatran as a Stealth Rock setter, with some wall-breaking capabilities. Lava Plume is a good Fire move to try and burn your opponent’s Pokémon switch-ins. A lot of Heatran’s checks, including Garchomp and Tyranitar, won’t enjoy being burned. Magma Storm and Taunt for a combo is good for added pressure and for stall breaking. For instance, people sometimes send in Chansey to wall against Heatran’s special attacks. So by using Magma Storm on the switch-in, Chansey will have to stay in as Magma Storm won’t allow them to switch back out. From there, you can use Taunt, so that Chansey won’t be able to use defensive moves like Softboiled or Heal Bell. It’s a good strategy if you want to damage a wall as much as possible. You can also have Toxic to wear down bulky Pokémon to give you more room for wall-breaking. Solar Beam is mostly only used with Power Herb and Magma Storm, as Heatran generally lures in bulky Water Pokémon like Rotom-W or Slowbro. With Magma Storm preventing opposing Pokémon to switch-out on hit, you can then hit the trapped bulky Water-type Pokémon with a Solar Beam, which will not need to be charged thanks to Power Herb. Having an Air Balloon is useful if you want to check Ground-type users like a Choice Scarfed Landorus locked into using Earthquake. Another option for moves include Flash Cannon to be effective against Fairy-type Pokémon like Clefable, or Ancient Power which is useful against Talonflame. Earth Power is an option if you want to beat other Fire-Type Pokémon like opposing Heatran. Heatran also has Steel-typing, so switching it in will be an easier task than the other pure Fire-type Pokémon. You won’t take the full 25% from Stealth Rock, and you can use it to check a number of threats in OU, like Latios (barring Surf and Earthquake) and Latias, Talonflame, Clefable, or Mega-Diancie without Earth Power. If you want more of a sure chance to burn your opponent, try Will-O-Wisp. However, you’ll probably be more pressed to use Toxic and Protect, a good combo to wear your opponent’s Pokémon down, and to scout what they’re up to. Roar is there for phasing, and to rack up residual damage if you have them on the field. Setting up Dragon Dance allows it to be the cleaner for mid- or late-game once its threats have been taken care of by your other Pokémon. Its new secondary type, Dragon, allows it to even set up on bulky Water-type Pokémon. However, it’s mostly recommended to set up Dragon Dance on Pokémon that it forces out like Scizor or Mega-Manectric. Flare Blitz and Dragon Claw are its primary STAB moves, with Roost being its recovery move, but you can also try Earthquake if you want a more surefire way to KO a defensive Heatran. 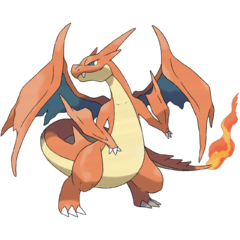 Unlike Charizard-X, Charizard-Y is mostly effective early- mid-game. Due to its Drought ability, it can use the sun to power up its Fire-type moves, allowing to KO or 2HKO any Pokémon that don’t resist it, or those that aren’t specially-defensive walls with high HP like Chansey. You’d want Fire Blast for that, or you can have Flamethrower if you’re not too keen on Fire Blast’s accuracy. However, you’ll miss out on some 2HKO’s, such as on Specially Defensive Clefable, Keldeo, or Garchomp. Solar Beam can hit Water-type Pokémon in only a single turn due to Drought, while Focus Blast hits Heatran, Chansey, and Tyranitar. Air Slash is also a viable option for a secondary STAB with a flinch chance to boot, but everything that it hits super-effectively (except the rare Fighting-type) is also weak to Fire. 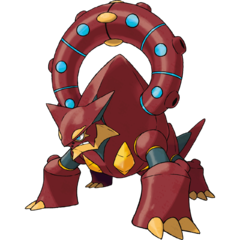 Volcanion is really powerful, and it’s pretty bulky. Its Water Absorb ability allows it to even come in against strong Water Pokémon like Azumarill and be an effective check. Steam Eruption is a scary move. It works the same way as Scald with its added 30% of a burn, but is more powerful. Don’t be afraid to use this move often unless your opponent has a Pokémon with Storm Drain or Water Absorb, as the added burn effect is very nice. Flamethrower vs. Fire Blast once again depends on your preference for accuracy vs. power, and you can also have Sludge Bomb if you want coverage against Fairy-type Pokémon like Clefable. Other options include Hidden Power Grass for Water-type Pokémon, or you can try Toxic to wear certain walls down. You can also try Earth Power, which works well against opposing Volcanion. If you don’t really feel like being locked into one move thanks to Choice Specs, you can try Leftovers or Mystic Water for a bluff. Will-O-Wisp alongside Bulk Up allows Talonflame to set up on many Pokémon, with Roost as its recover move. Because of Gale Wings, Roost also has priority, so you can use it for quick recovery. You can also use Taunt to prevent Pokémon from using Toxic or Whirlwind, thus saving your boosts. You wouldn’t want an item since Acrobatics gains power if Talonflame is not holding an item, but you can also try Leftovers if you want to negate residual damage from Sandstorm, and replace Acrobatics with Brave Bird for your Flying-type attack. This time, Talonflame has Swords Dance, Brave Bird, and Flare Blitz. Unlike its Bulk Up set, you won’t have many opportunities to set up a Swords Dance. 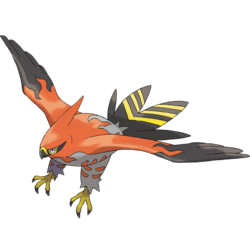 And because you’re using moves that deal recoil damage, you’ll probably find yourself Roosting quite often or just using this Talonflame set as a revenge killer. Alternatively you can also use it with Choice Band, with U-turn for scouting and Steel Wing to effectively damage Fairy-types. Other notable Fire-type Pokémon used in OU include Victini. Sometimes people love using Victini to punch holes in their opponent’s team with V-Create. It also has great coverage moves such as Brick Break for Rock-type Pokémon, Bolt Strike for Water-type Pokémon, and U-Turn for scouting purposes. It can use a Choice Scarf or Choice Band alongside Zen Headbutt and Trick, or it can have a Life Orb with Glaciate and Energy Ball. Volcarona is a powerful special sweeper with Quiver Dance, however it does struggle against stall and some common Pokémon in OU like Talonflame and Chansey. Infernape is an all-around good attacker with moves like Close Combat, Gunk Shot, and Grass Knot, but people lean towards more powerful Pokémon like either of the Mega-Charizard formes or even Victini. Ninetales is another Drought user specifically for Sunny Day specialized teams, having Will-O-Wisp or Hypnosis for utility moves. It’s also not a Mega-Pokémon, so it doesn’t use your Mega-slot. 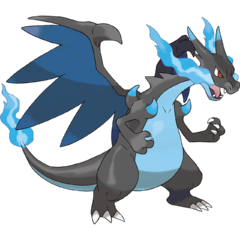 However, it’s not as powerful as Mega-Charizard Y, it lacks a recovery move, and its overall bulk isn’t too impressive. Whatever options you use, remember that Fire-type Pokémon are solid options for offense and you should definitely consider taking advantage of their raw power. If you like having your teams use a more offensive approach, consider each of these Fire Pokémon wisely, and you’ll be on the first step on burning your way to victory! Edited by 5qwerty, bobandbill, ddrox13 and Volpe Artica. An experienced competitive player who have been playing in the competitive scene ever since Generation III.  Dragon here specializes in competitive articles.